Click panel images for panelist info. Create your agenda on Sched. A strong case has been made for a whole child approach to education, with solid research behind the non-academic supports and priorities that strengthen the learning experience for all students. Yet, we are still at the frontier of bringing this research to practice within classrooms, schools and systems through an integrated, rigorous and effective approach. 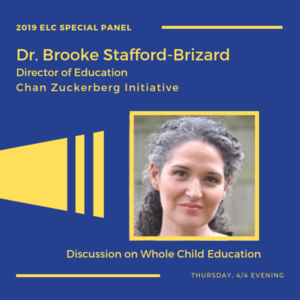 This discussion will draw from the experience and perspective of leaders working to broaden and strengthen our approach to teaching and learning with a focus on the science of whole child development. What does comprehensive sexual education look like in today’s day and age? How might sexual education in elementary, middle, and high school change as a result of the #MeToo movement? In what ways has the way we think and talk about gender norms, identity, and consent changed over the last decade? In what ways can we educate our students to better prepare them to engage in safer, healthier conversations and behaviors? What happens when you try to scale a promising school and support services model across the country? For this panel, we will hear from leaders about the successes they have experienced and the challenges they have faced in expanding the Promise Neighborhood model. We will seek to understand what is in store for Promise Neighborhoods with the new ESSA policy and what it means for the future of social mobility in the US. While formal federal and state policy definitions and guidelines for "turnaround" schools have shifted over the last decade, what remains true is that thousands of our nation's schools are severely underperforming. These schools require drastic and comprehensive interventions to produce necessary gains in academic achievement, as well as to lay a path for long-term systems change and performance improvement. We dive into cases of turnaround efforts to better understand what has worked, what the key challenges are, and how we might improve turnaround efforts in the future. In the past two decades, we have seen the proliferation of audacious, big-money-backed initiatives to transform American education system led by business executives, tech founders, and venture capitalists. How should we define success of these initiatives? Georgia has resettled 37,000 refugees in the past 25 years. The majority of those refugees were resettled in DeKalb County. This panel will explore what the education journey looks like for refugee students and offer perspectives from DeKalb County about how to best serve the unique needs of refugee students. With the increase of big data practices in education, how are districts, teachers, and parents coping? How parents are involved in the data privacy process as well. It has been 65 years since the famous Brown v. Board of Education case was decided by the US Supreme Court, ruling that schools cannot be segregated by race. Yet, our schools are still segregated and, on some metrics, even more segregated than they were at the time of the verdict. We’ve invited two school districts to share the levers they are pulling to reverse segregation in their districts, what's working, and what still needs to be done. Affirmative action has been a pillar of the American education system since the 1970s but it has faced an increasing number of challenges and criticism in recent years, from Supreme Court case involving Harvard to a Department of Justice investigation into Yale to New York City high school admissions policies. We reexamine the history of affirmative action, analyze the impact it has had on the American education system, and discuss how the current approach stacks up against potential alternatives. How can we redesign school to work for all students? so how should we define post-secondary success? We reexamine the traditional school pedagogical model and interrogate how technology can be effectively used to meet all students' needs. From wildfires to hurricanes, this past year we once again bore witness to the catastrophic effects that our changing natural world can inflict on the lives of humans and society. The displacement caused by natural disasters extends, of course, to the educational life cycle of the average student, whose education is stopped or disrupted due to schools being severely damaged or destroyed by the extreme weather conditions of our time. In this panel, we will examine how can we rebuild school systems after a natural disaster to improve efficacy, while preserving local memory and tradition. We will examine the recovery efforts in Louisiana, Texas, and Puerto Rico to parse out potential lessons learned that could be applied to other settings. We examine how natural disaster recovery has both driven and impeded school reform. What is the role of civic education in an age where facts are seen as controversial or disputed, and reporting and analysis has been decentralized away from traditional media? How do we teach students to be critical consumers of media, especially social media, and prepare them for engagement in democracy and society? How have we already changed the way we talk about historical events and how are we changing it more in future? How do teachers at the K-12 level insulate themselves from critiques of bias such as those leveled at higher education? 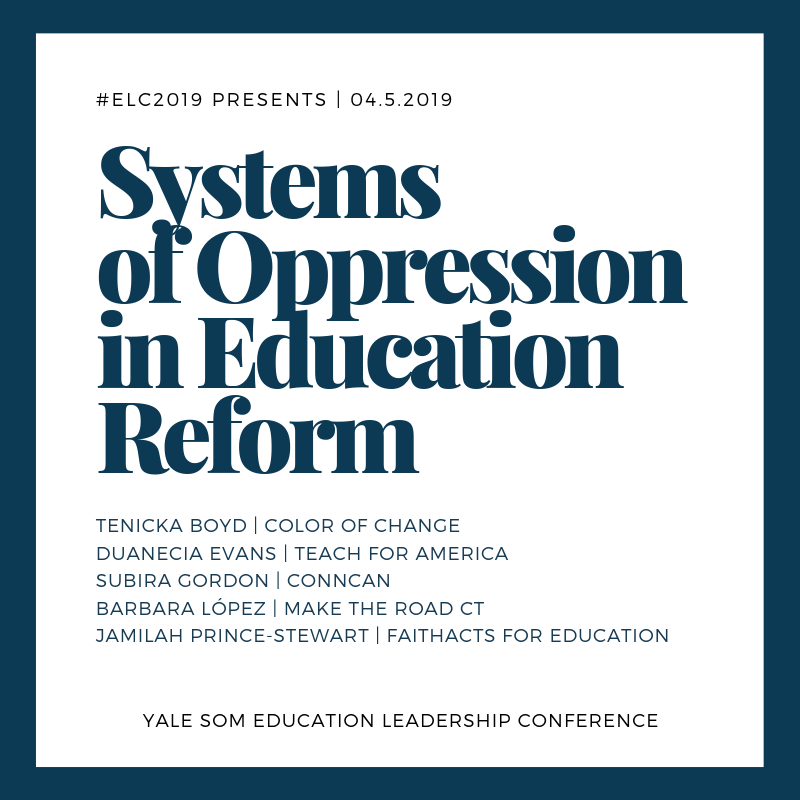 Do education reform efforts perpetuate the systems of oppression they’re designed to dismantle? Over the past few years, discussions around improving the field haven’t scratched below the surface. Do we need more people of color leading? Yes. But what else? We will debate issues around representation, outcomes, money, and power. We will explore ways to do right by our people and to win. Be prepared to be uncomfortable. Professor Barbara Biasi will host a talk on different types of public policies aimed at improving selection and retention of good teachers and the effects of teachers on students. Professor Biasi’s research is in the areas of labor economics and applied microeconomics, with a focus on education and creativity. Some of her recent research investigates the effects of changes in teachers’ pay in Wisconsin on teachers’ labor markets, and the effects of school finance equalization on long-run children’s outcomes, as well as the links between mental health and career outcomes and the links between copyright policies and the diffusion of scientific knowledge. 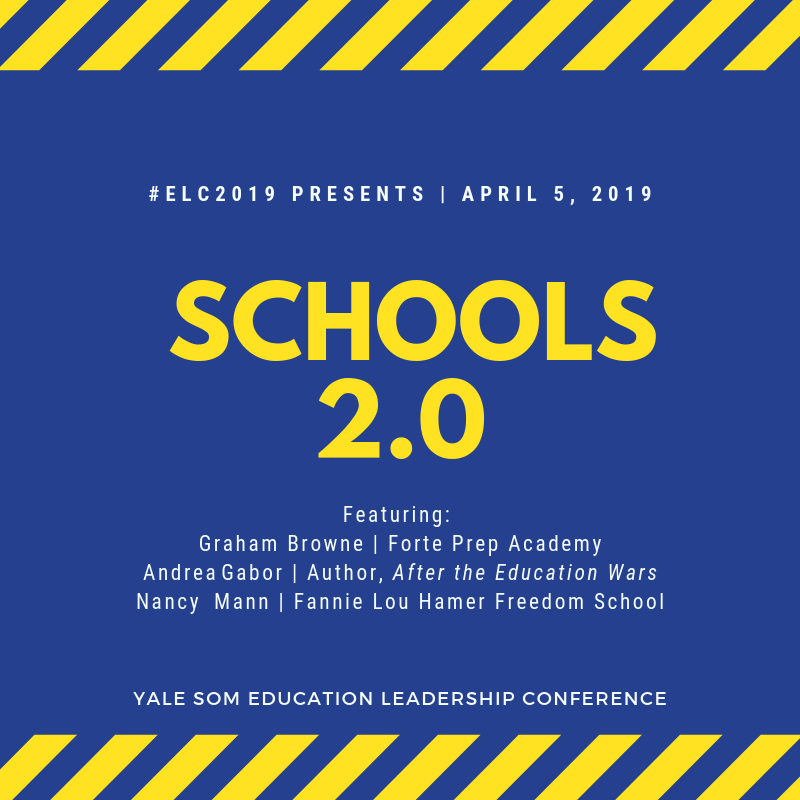 View the Yale ELC 2019: Never Standing Still - Leading Through Uncertainty schedule & directory.